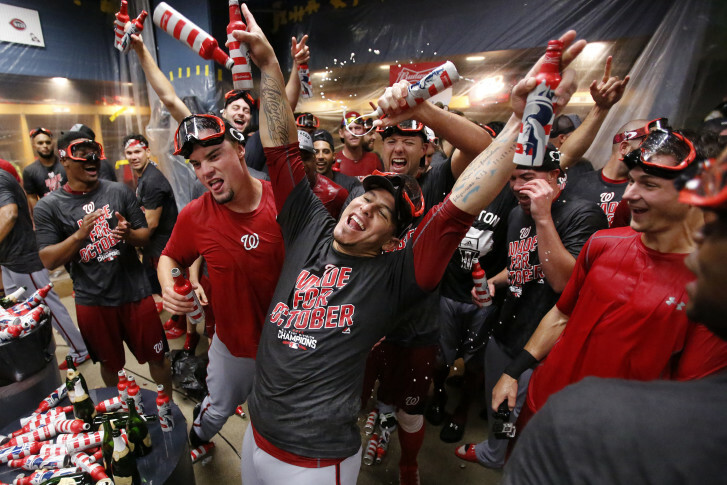 WASHINGTON — On Friday afternoon, the Washington Nationals face the Los Angeles Dodgers in a playoff game at Nationals Park, and some workers may be getting an early start on the holiday weekend. The combination means commuters should plan ahead. “That overlap is going to happen temporally and also spatially on the freeway, on South Capitol Street, on 295,” said Dave Dildine, of WTOP Traffic. Rush hour could start as early as 1 p.m., he said. “There’s likely going to be worse traffic downtown. It’s still a question how bad it’s going to be,” Dildine said. “People should definitely have a plan,” said Valerie Camillo, chief revenue and marketing officer with the Nationals. The team is running a promotion to encourage fans to get to the park by 3 p.m., when the gates open. “We’re doing a 20 percent discount for the first hour after gates are open and a 20 percent discount on Nationals merchandise in the center field plaza” for the same hour, she said. Similar to a usual Nationals game, there will be traffic control officers around the stadium and the streets around the centerfield gate will be closed. The first pitch is set for 5:38 p.m. The District Department of Transportation plans to switch traffic signals on major roads to rush-hour timing several hours earlier than usual. All major roads will switch to rush-hour signal timing at noon Friday. Even on a normal Friday without additional factors, some locations like Suitland Parkway and Stanton Road in Southeast can back up before the switch to rush hour mode begins around 3 p.m., according to WTOP Director of Traffic and Transit Operations Jim Battagliese. The early change could be extremely helpful on a day when additional traffic is expected, Battagliese added. Metro only has track work scheduled before the game that impacts Vienna and Dunn Loring as part of the ongoing 24/7 track work. After the Nationals game, riders heading home on the Red Line could face scheduled single-tracking delays. With the 5:38 start, the game would have to stretch on for more than five hours before fans had to consider leaving to make the last Metro trains. D.C.’s Department of Transportation suggests fans use the DC Circulator Bus to the Ballpark, which will offer special service on both Friday and Saturday on the Union Station-Navy Yard route and is an alternative to using Metro’s Green Line. For Game 1 on Friday, the special service for that route starts 6 a.m. and ends at 11 p.m.
For Game 2 on Saturday, service starts noon and ends at 10 p.m. The Nationals have set up a website for fans to consider using other options to get to the park for the 5:38 p.m. first pitch. See more information on Nationals parking lots and parking options near the park. If you’re using your own bike, there are plenty of bike racks around the ballpark — more than 250 bike racks — and even a free bike valet service. For fans who choose to take services such as Uber or Lyft to the Nationals game, DDOT is encouraging drop off and pickup to be done a block away from the stadium. DDOT is encouraging drop off and pickup to be done a block away from the stadium on New Jersey Avenue SE. Capital Bikeshare is also an option for fans. Capital Bikeshare Corral Service will be available for all home playoff games at the 1st Street & N Street Southeast station. The service will begin at 4:30 p.m. Friday and will conclude 30 minutes after the game is over. 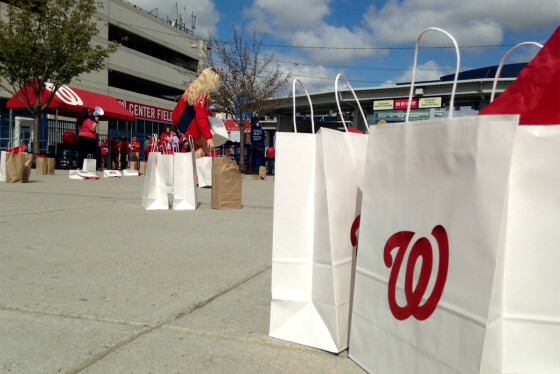 Fans of the Washington Nationals brought an array of odd and sentimental charms to Nats Park Wednesday for a chance to win playoff tickets.